So you have an idea and you want it realised, or you have no idea but you know you want something, we can help. Not only can we design to your requirements but every design will be optimised for your chosen output. Look, if you can’t supply print ready artwork but can supply all the text, fonts, and hi-res images/vectors where possible then if it’s a 5/10 minute typesetting job for us then it’s on us. However, if it’s multiple sheets of hand written paper with drawings and screenshots of photos then yeah, it’s going to cost you our time. Use the form below for a no obligation quote. Please upload your jpg, png or gif for proofing. Do you have a vector version of your artwork? AI, EPS, CDR? 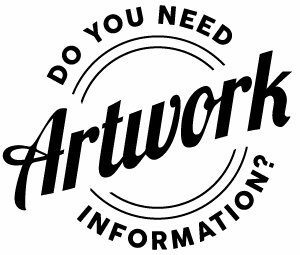 If not there will more than likely be an artwork charge as we need vector artwork to work off for most of our products.